Dedicated to Brett Favre. 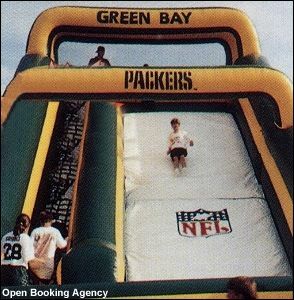 Let your Packers® pride show through with this green and gold custom built giant slide! Fun and safe for all ages. Super promotional attention-getter. Attach your logo and show your team support! This is one of a kind!